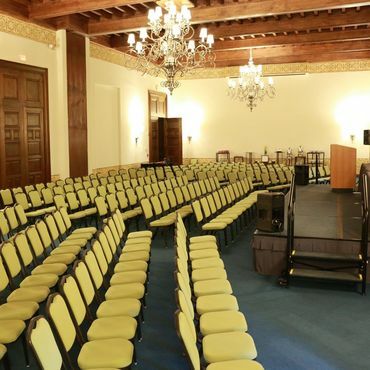 Among its many rooms and areas, the Hotel Solar de las Ánimas offers the Salon Real, an area specifically reserved for events with a capacity of 200 people, ideal for work sessions, celebrations, conferences or any gathering that requires a setting with perfect acoustics and adaptable spaces according to capacity needs and type of event. 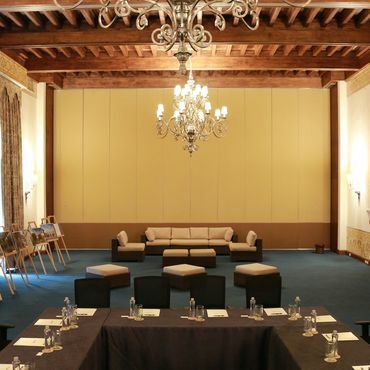 The style of decor can be traced back to the ancient Mexican mansions of the seventeenth and eighteenth centuries: walls and ceilings are hung with long fabric drapes, wall-mounted sconces and large windows that offer fine views of the surrounding landscape. 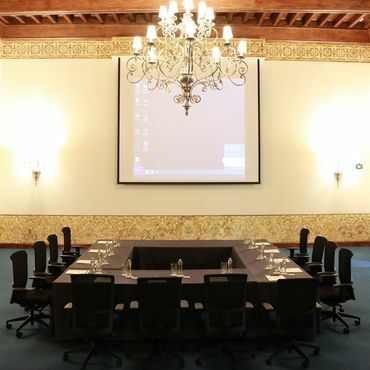 Amenities include a high-quality sound system, air conditioning and screens with HD projectors. Hacienda el Centenario, an exclusive Events and Conventions venue offers an area of 7000 m2 (75,350 square feet) divided between a variety of flexible spaces set among gardens and courtyards featuring fountains and terraces, and all surrounded by the stunning natural scenery of the Sierra Madre Occidental.